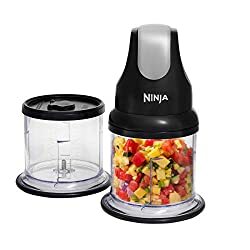 Easily chopping, mixing, puréeing or blending fruit, nuts, herbs and more using a manual pull-cord system that works like a spinning top, the Zyliss Easy Pull Manual Food Processor creates results as precise as an electric chopper. 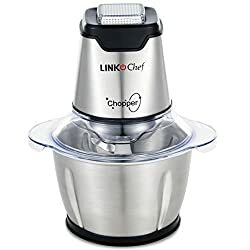 Incredibly versatile, it can make salsa in minutes and is ideal for prepping burgers, making breadcrumbs, or creating dips, soups, smoothies, shakes and granitas from scratch. Simple to use, just pull 5-6 times for a coarse chop, 7-12 for medium, 13-20 for fine and 20+ for puréed or smoothly blended ingredients. 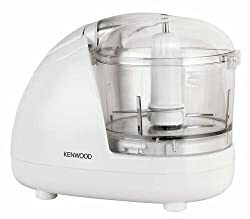 Two patented, independently moving stainless steel blades chop constantly without getting stuck whilst a plastic blade at the bottom helps to push ingredients towards the blades for faster, more consistent results. 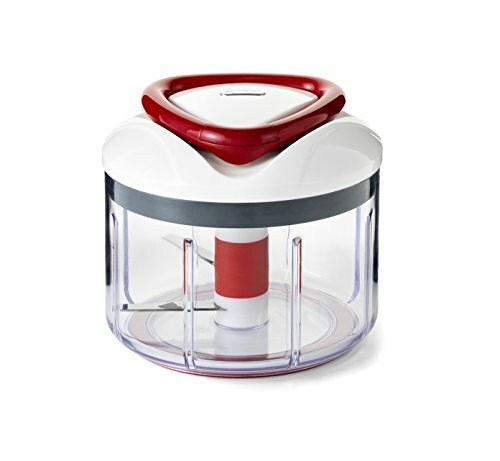 The clear bowl allows you to easily see your ingredients as you chop and, for your convenience, both the bowl and the blade attachment can be easily removed and are dishwasher safe. 14cm Dia. x 13cm H. 750ml.